New York Times bestselling author of The Post-American World and host of CNN’s Fareed Zakaria GPS argues for a renewed commitment to the world’s most valuable educational traditions in this fascinating audiobook. The liberal arts educational system is under attack. Governors in Texas, Florida, and North Carolina have announced that they will not spend taxpayer money subsidizing the liberal arts. Majors like English and History—which were once very popular and highly respected—are in steep decline and President Obama has recently advised students to keep in mind that technical training could be more valuable than a degree in art history, when deciding on an educational path. 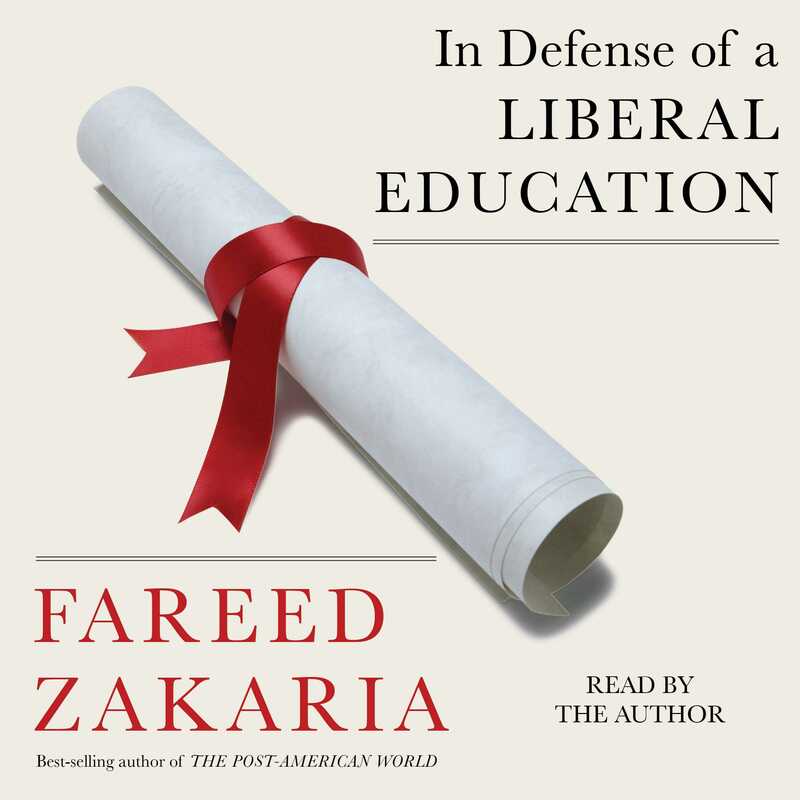 In this timely and urgently needed audiobook Fareed Zakaria explains that this turn away from the liberal arts is a mistake. A liberal education provides the foundation for finding your voice, writing, speaking your mind, and ultimately, learning—all immensely valuable skills no matter your profession. Technology and globalization are making these skills even more valuable and necessary as routine mechanical and even computing tasks can be done by machines. More than just a path to a career, Zakaria argues that a liberal education is an exercise in freedom and above all, it feeds the most basic urge of the human spirit—to know. Fareed Zakaria is the host of CNN’s Fareed Zakaria GPS, bestselling author of The Post-American World and The Future of Freedom, and a columnist for The Washington Post. He lives in New York City.